Ham is the perfect dish for holiday celebrations. Chef Jake’s delicious combination of honey, ham, and spices is easy to make and tastes amazing. The caramelized ham exterior makes this recipe simply ham heaven. Preheat the oven to 325 degrees. Remove the ham from the refrigerator. Let the ham sit at room temperature for one hour. Put the ham on a large rack in a roasting pan. Cover ham with parchment paper, then cover roasting pan with foil. Bake 1 hour. While the ham bakes combine the apple juice, honey, cinnamon, nutmeg and clove in a saucepan. Over medium heat bring to a simmer. Cook until the sauce has reduced at least 25% and is syrupy. Remove the foil and parchment paper. 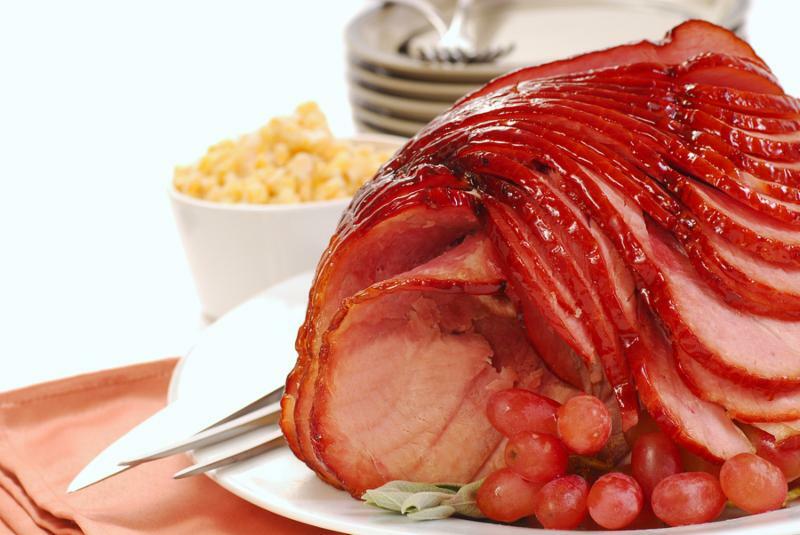 Baste the ham with the honey glaze every 15 minutes for another 1-1/2 hours or until the ham reaches an internal temperature of 145 degrees. Turn the broiler on and let the ham sit under the broiler for 3-5 minutes to caramelize the glaze.